Mountain biking is a somewhat new sport, only really taking off in the 1970’s. Even so, there’s plenty that you may not know about mountain biking that would surprise you. Here’s the 12 amazing mountain bike facts that you’ve never heard before. Yes, the sport as it is today didn’t evolve until the 1970’s, but mountain bikes have actually been around a lot longer than you’d think. The first mountain bikes were actually used by the Buffalo Soldiers in the 1890’s. Of course, these bikes weren’t anything like the bikes we have today. They didn’t have shock absorbers, gearing, or brake systems, and they were a lot heavier than you’d expect a mountain bike to be. This bike race, located in Nepal, goes as high as 5416m above sea level, and it seen as a real adventure race. It’s organised into 11 different stages that cover 400km total. If you’re feeling like a challenge, this may be the race for you! Way back in 1935, Fred A. Birchmore, who was just 25 at the time, mountain biked his way around the whole world. He rode on a precursor to the modern mountain bike, he wore out 7 sets of tyres in the process. He ride through the USA, Europe and Asia, covering some forty thousand miles altogether. 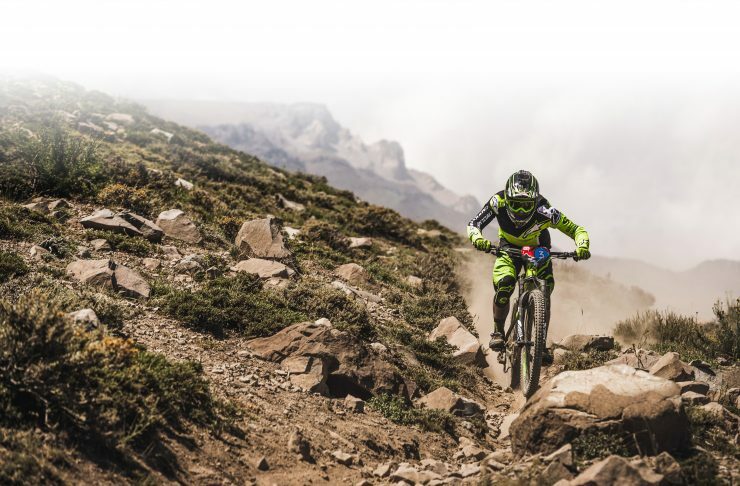 Much like many modern day sports, competitive mountain biking started in the USA. Riders in California would modify 1940’s and 50’s bikes so they could take them on rough terrain. As you can imagine, those bikes were worn out quickly, so custom built mountain bikes were then created for bikers. In some sports you’re considered over the hill once you hit 30. Not so with mountain biking! If you can get on a bike and pedal it, you can take part. One of the oldest competitors today is Fred Shmid, who’s in his 80’s. In fact, he only got into biking in his 60’s when he was gifted a mountain biker. Age truly is nothing but a number. 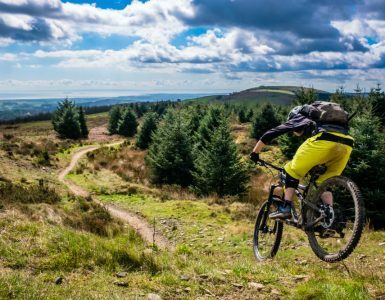 If you’re just out and about on your bike, rather than throwing it down mountain trails, then you’re still getting the benefit from your bike. Obviously, you’re doing your part for the environment by not driving a polluting car. What you might not know is that you’re getting more bang for your buck when it comes to energy. To travel the same distance as a cyclist, a pedestrian would have to expend 6 times as much energy. 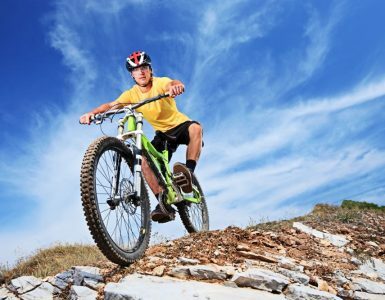 Nowadays, the most common mountain bike wheel’s are around 29′ wide. That’s a lot larger than the tiny 26′ wheel’s you used to see in the past. It’s easy to see why they’ve got larger, as a bigger wheel means that you can get over much rougher terrain than you used to be able to. You can even buy ‘fat tyres’, which are oversized tyres specially designed for terrain and conditions such as sand or snow, but that’s another story. In the early 1900’s, suspension wasn’t something your bike would come with. Pneumatic tyres meant that suspension wasn’t needed with a modern bike. However, once mountain biking came onto the scene, it was brought back in a big way. Nowadays, it’s unthinkable that a mountain bike wouldn’t have some sort of suspension system. It would be a much different sport without it. It feels like mountain biking has always been a serious sport, with many brands and sponsors behind it. These days, you can’t imagine it being sidelined as just a fad. However, that’s just how the major brands saw it when mountain biking became popular. Brands such as Schwinn, who were the most popular bike manufacturers at the time, weren’t interested in making mountain bikes. They didn’t see it as worth their while, as they thought no one would be using mountain bikes soon. Obviously, they were soon proven wrong. A mountain bike isn’t just a mountain bike. There’s lots of different types, depending on how you intend to use them. Cross country bikes for example, are designed for longer journeys, while enduro bikes are made for the roughest terrains. It’s not enough to simply walk into a store and buy a mountain bike. You need to know how you’re going to use that bike and where you’ll be taking them, to get the right bike for you. It wasn’t until 1996 that mountain biking entered the world stage as an Olympic sport. In Atlanta, Georgia, mountain bikers from all over the world competed. The gold medal winner was Bart Jen Brentjens, the competitor representing the Netherlands. Now, we’re hoping to see some exciting mountain biking action at the forthcoming Tokyo games. If you’re looking for a new way to work out, then mountain biking may be for you. Enthusiasts say that it’s much more fulfilling and rewarding than a gym membership, as you’re out in nature, engaging with others, and taking part in competitions whether they’re professional or just personal ones. It’s also an amazing way to blow off some steam when you’ve had a bad day, and just need to work it out. It’s a workout routine that’s much better and more rewarding than anything you’d get out of a gym class or an exercise video. Get out there and get pedaling! 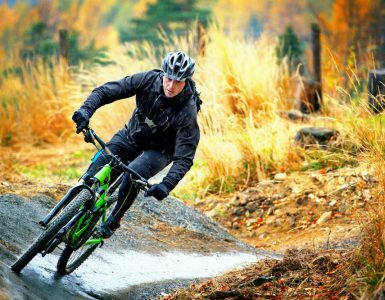 As you can see, there’s lots about mountain biking that you may not have even thought about before! There’s lots to learn, so grab a bike and let’s get started. The Flow MTB - Get into the flow. Get mountain biking. Of course we all love mountain biking, or we wouldn't be here. It's fun, exciting, and a fantastic way to meet new people. Copyright © The Flow MTB 2019.